Customize your Cream City event with this stunning Milwaukee Poster. With rich golden wheat reaching into a deep, blue background and room for up to eight custom images, your event will stand out in the City of Festivals. 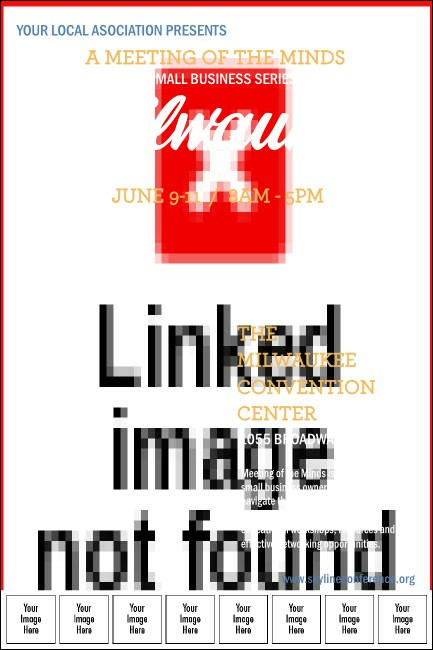 Combine the poster with a Matching Event Kit to draw a crowd to your next Milwaukee event. Bring on Happy Days with the right poster from TicketPrinting.com.